The web server with the IP-address 52.22.42.19 used by Channelit.biz is owned by E.I. du Pont de Nemours and Co. and is located in Wilmington, USA. 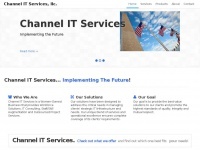 The website Channelit.biz has a own web server. The web server only runs this website.